Dr RFI (‘Bob’) Smith is a Senior Associate and a Director of The Ethicos Group Pty Ltd, and an established author, consultant, and lecturer, in public policy and management. Dr Smith has held senior public service positions in Queensland (Deputy Director-General, Department of Primary Industries; Deputy Director-General, Office of the Cabinet). In Victoria he was a Member of the Public Service Board, and Director of the Cabinet Office. Bob is a National Fellow of the Institute of Public Administration Australia. He has taught public policy, policy analysis and e-Government in the Monash University Master of Public Policy and Management Program, and coordinated the Master of Public Policy and Management Program and the Master of Diplomacy and Trade Program. 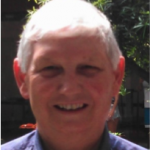 Bob’s consulting assignments include contributing to AusAID and DANIDA projects for the Government of Vietnam, and various projects for management reform in India, Sri Lanka, Bangladesh and China. He is at present an Adjunct Professor in the School of Management, RMIT University, Melbourne.